Our very popular Super Sprint Series Handicap event takes place this Sunday. To give our volunteers time to sort out the various start groups, entry for this event will close at 6pm tomorrow (Friday) and there will be no late entry. Thanks for your understanding and early entries. Reminder: Entry closes 6pm tomorrow (Friday) to allow time for handicap groups to be organised. To those wonderful committee members who participated in a storage shed clean up & equipment marking day. More behind the scenes contribution to the smooth running of our club. 1. Our Ironman Taiwan competitors & supporters had to sit through Typhoon Megi with associated cancelled flights & scary moments before finally making it to Penghu where the race was held. 2. Great to see Stef Puszka make it on to the prize winning pro podium again. Congrats! 5. Good luck Richard Bland, lining up for Chicago Marathon this weekend. 6. Alice Springs Masters Games kick off this weekend. Good luck to our members going down to participate in various events. 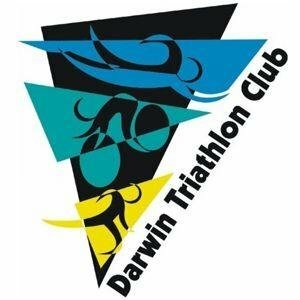 Registrations close tomorrow - duathlon & triathlon both included. 7. Good luck Kyle Farrier competing at National Summer Track Series in Sydney. 8. Kyle has also gained a spot in the 2017 Australian Youth | Junior | U23 Series and has set up a gofundme page to assist with travel costs. Help if you wish. 9. Nice to have Bertram Birk back for a quick visit & making time to catch up with members at Nightcliff swim squad. 10. Many of you will remember Roland Muench. Roland's been back in Darwin for a while now & is quite an artist these days. 11. Well it's finally here! The big one! On the Big Island! Ironman World Championships, Hawaii takes place on Saturday (Sunday our time) and we have four members in the line up. Jac Crofton is back for the second time and Sarah Collins, Fiona Coyle and Kevin Coyle are all first timers. The excitment is mounting and the Parade of Nations done. We wish them good luck and total enjoyment of the day they have worked so hard to qualify for and then put in all the hard training yards since. Race day is fun day reward!! 12. Our custom tri gear order has been submitted. Allow 3-4 weeks. Will send an email regarding collection opportunities when they arrive. 14. Juniors Fynn Goat & Poppy Goat are among those taking part in the NT BMX titles in Alice Springs. Good luck.